Rose wine isn’t just for ladies that lunch anymore, it has quite rightly risen in popularity recently due to its diversity. Corks Out has a unique range of Rose wines from Italian Blush to French Pomerol. From dry and light to sweet and fruity wines, you are certain to find a real gem of a rosé that perfectly matches your wine preferences. Rosé wine is typically made from black-skinned grapes, where the juice is kept in contact with the skins for less time than it is for red wine. Rosé can also be made by blending the top of a red wine with white wine. Provencal: French regions such as Provence, Rhone Valley and Loire Valley are famous for creating traditional dry rosé wine such as the Dom Ott Romassan Rose Bandol and the Dom Ott Clos Mireille. Typically made from Grenache and Cinsault grapes, they contain aromas of red berries accompanied by a touch of citrus fruits. Spanish and Italian: Rosé wine from Spain is bigger and bolder than the French styles, containing Tempranillo and Garnacha grapes which give the wine a more up-front fruit flavour. While Italian wine is synonymous with being full bodied and red, the country also produces rosé that is delicate and dry, with just the right level of mouth-watering acidity. USA: Merlot, Zinfandel and Cabernet are typically used by US wine producers, who are known to produce rosé wine that is deliciously dry and fruity, with just a touch of sweetness; a far cry from the incredibly sugary white zinfandels that were once synonymous with California. Rosé wine is also produced in other countries such as South America, Germany as well as Australia. We are incredibly proud of our range of rosé wines, which reflects perfectly the sheer quality of rosé now available worldwide. Feel free to have a look through our carefully chosen selection to discover some well-known favourites as well as underrated gems we think deserve to be noticed. All wines on Corks Out can be purchased on next day delivery, with free delivery available for some orders. 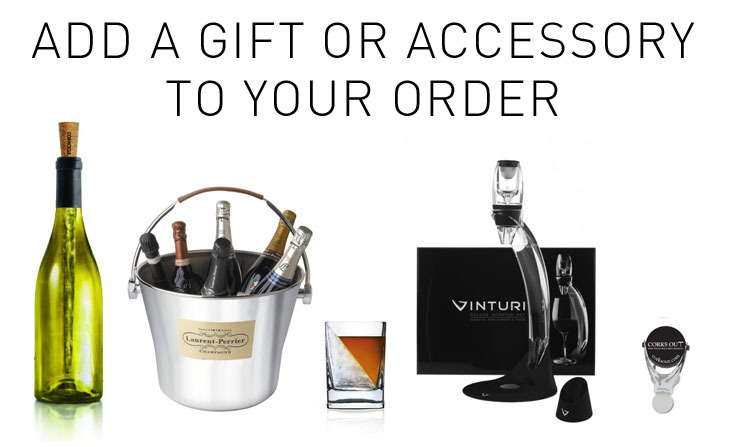 There is also no minimum order, so you can pick up as many bottles as you need.